I’m beyond pleased to announce that I have a pattern in Knitty Spring + Summer 2013. 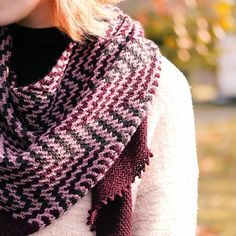 Eccentric and non-conforming, Lunatic Fringe is an off-kilter shawl that grows asymmetrically from the bottom up, and and sprouts digit-like fringes on one side. The fringes are knit in as you go along by repeatedly binding off and casting on, while the body features alternating textural stripes. Cast on with a few stitches, Lunatic Fringe grows by increasing unequally along both sides to the long top edge, which is finished simply with a stretchy bind off. I chose a slubby merino/alpaca/silk blend which is weirdly iridescent in duo-tonal colors to accentuate the erratic nature of the shawl; handspun would create a similar effect. Any yarn and any amount may be used. Techniques & Skills Used: long-tail CO, backwards loop CO, knit/purl, increasing. Size: one size; 58” length and 16” depth, excluding fringe. 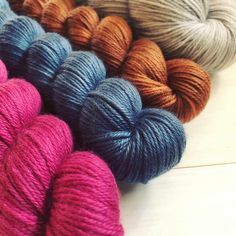 Yarn: The Fibre Company Terra (40% merino, 40% alpaca, 20% silk) 100 yards; 4 skeins, Butternut. I chose a thick & thin yarn with textural interest, to accentuate the erratic nature of the shawl; handspun would create a similar effect. Stitch markers (2), Yarn needle. Gauge: 14 st and 24 rows/4″ in stockinette stitch, after blocking. Lunatic Fringe is available for free from Knitty.